On October 7, 1891, missionary David Tice came to St. Louis Park to head a movement to establish a Methodist church in St. Louis Park. The first meeting was held at the home of Charles Hillacombe on December 13, 1891. Tice probably came at the request of T.B. Walker, who built a Methodist church on the south side of Brownlow Ave. between Lake Street and First Street. Today that property is part of 6714 Walker Street (built in 1949), next to 3384 Brownlow. Construction cost was $4,000. Rev. Samuel F. Kerfoot, who had graduated from Hamline University in 1889, was pastor from 1892 to October 1894. From 1912 to 1927 he served as the President of Hamline University. In 1911 there was a fire on Brownlow Ave., and the firemen saw fit to save the saloon across the street from the church first. The minister saw the firemen go over to save the saloon and he cried out “They’re letting God’s house burn and saving that Devil Establishment over there!” Or so the story goes. The church suffered severe damage in the tornado of 1925. The small congregation did not replace the building. 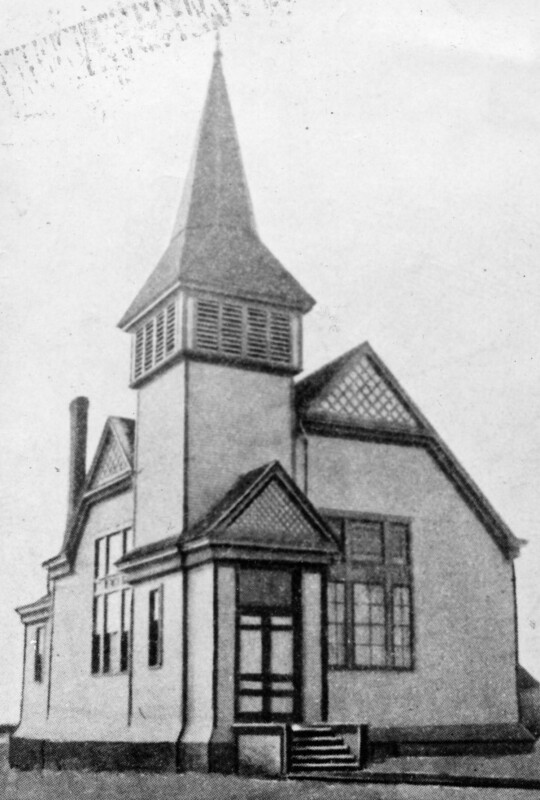 The bell was transferred to the Brookside Community Church, which became Aldersgate. 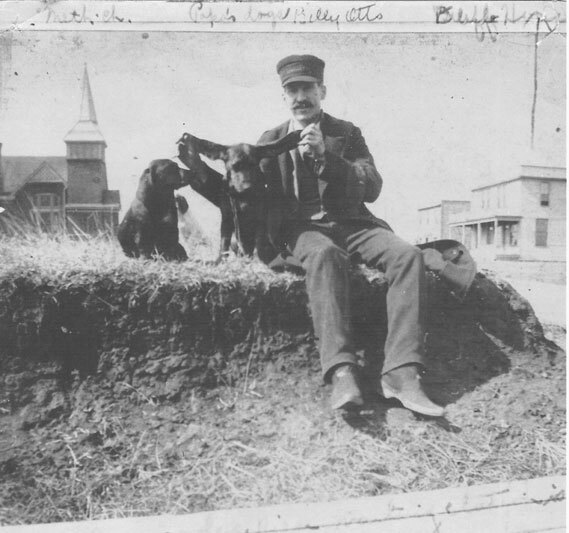 In this silly picture you can see the church behind the dogeared man, Billy Otts. Across the street were two hotels.